SPOILER ALERT! All of the raters in the previous post are rated either good but with deep concerns or really good but with deep concerns. No A- or F+-lists. a little story: Once I had a heachache. So I took an aspirin. It got worse, so I took four aspirins. Within a month I was taking four aspirins every four hours and still the headache persisted. It turns out I had a subderal hematoma the size of my skullcap. The current seafood rating system has a lot in common with the four aspirin every four hours approach to the sustainability problem. This is the third post in the Reward in the Cognitive Niche ( RCN) series of ratings and raters of sustainable seafood most relevant to consumers of the Central Coast. As a reminder, those in the cognitive niche are rewarded with feelings of pleasure just for knowing what is true, for knowing that they know, and they are further rewarded for doing the right thing, according to the best information available. Win win win for knowing and doing what is right. This blog supports knowing what is the right thing and doing it, if right is referenced to the preservation of a beautiful, vibrant global cosystem. All in the name of enhanced global pleasure. In the previous (second) post of this series RCN compared sustainability ratings by the Alpha Seafood Raters for two animals: Market squid, which is California's top fishery both in biomass and value, and shrimp, which is the number-one-choice of consumers for seafood. Most raters recommend wild-caught Longfin squid as an excellent, sustainable choice choice, with Market squid rated either best choice or good alternative. Disclaimers state that insufficient data is currently available for trust-worthy ratings for squid. Shrimp is even more complicated. In this post RCN explains judgment of the alpha raters of sustainable seafood : "good or really good but both with deep concerns." As formidable an accomplishment as seafood ratings are, ratings by alpha raters reflect concerns with sustainability, which can be seen as an aspirin treatment. Do we really want to sustain dynamic processes that can only lead to loss of quality of life, diminished vibrancy and resiliency of all ecosystems through declining biodiversity, and baselines shifting ever downwards? At Seafood Watch we help sustain wild, diverse and healthy ocean ecosystems that will exist long into the future. We do this by encouraging consumers and businesses to purchase seafood that is fished or farmed in ways that don’t harm the environment. When there is scientific uncertainty, we err on the side of conservation. ...Scientists estimate that we have removed as much as 90 percent of the large predatory fish such as shark, swordfish and cod from the world's oceans. ..85 percent of the world's fisheries are being harvested at capacity or are in decline. 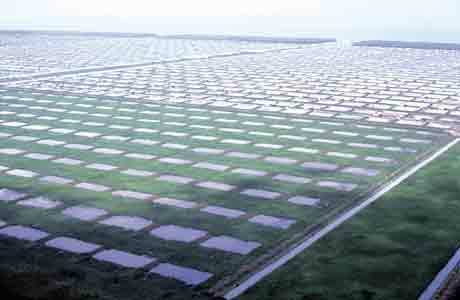 ...Aquaculture, or fish farming, could be a great solution to the ever-increasing pressures on our ocean resources. Today, half of our seafood comes from farms. But the ecological impact of fish farming depends on the species chosen, where the farm is located, and how they are raised. ...As a society, we can create sustainable aquaculture that limits habitat damage; prevents the spread of disease and non-native species; and minimizes the use of wild fish as feed. The above is cautiously optimistic. But the 85 and 90 % figures reflect a trend, not an absolute state without dynamics. As such they can be misleading. Before the population of the world reached 7 billion, consumption habits removed 90 % of the top level predators from marine food webs. Add to this picture the fact that any well-researched data may be outdated by the time it is peer-reviewed and published. Second, the trend of developing nations such as China (which now dominates fish consumption) is towards eating more fish not less. Third, biological programs both drive our species towards acquiring the best and forgetting the way it really was, a process called shifting baselines. Not last is the major disconnect between supporters of sustainable ocean ecosystems and the terrestrial stewards such as permaculturists. Last but not least is the aquaculture and mariculture solution to the waning of the seaworld. More about aquaculture and quality of life in the next post. But on the other, none of the alpha raters (see previous post for a list) address the issues of diminishing biodiversity associated with industrial farming (which includes aquaculture and mariculture), or the state-of- the-art technologies in aquaculture (i.e., closed recirculating systems) that still depend on non-renewable, carbon dioxide-emitting energy sources such as coal. China is reported to be building two new coal plants a week. By 2030 Wired Science predicts that China's carbon dioxide emissions will reach 8 gigatons a year, which is equal to the entire world’s CO2 production today. Rock shrimp and Black tiger shrimp are considered by many (not all) shrimp connoisseurs to be the best of the shrimp. Food attributes include mildly briny and sweet, firm, crunchy texture, buttery, moist taste as well as some uniquely shrimp-prawn attributes, all mouth-watering. (Although biologists distinguish true shrimp from true prawns RCN follows the protocol of most seafood raters of not differentiating prawns from shrimp in their ratings. Neither does RCN refer to all freshwater species as prawns). While MBA rates prawns caught wild in U.S. waters as a good alternative, MBA rates both farmed black tiger shrimp and wild-caught as absolutely to be avoided. 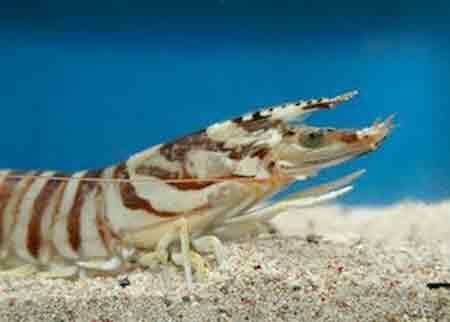 On the other hand, freshwater prawns farmed in the U.S. are rated best choice by MBA. Simultaneously, major retailers such as Target, working with the MBA, have discontinued entirely all farmed salmon stating that "salmon farms could hurt the environment through pollution, chemicals and parasites." 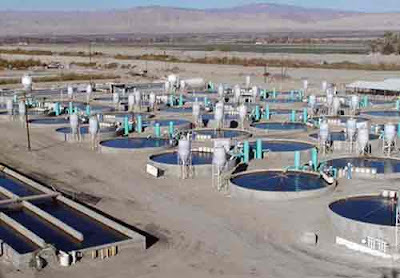 Since most research into industrial fish farming has been conducted on salmon, stewards might take Target's decision to eliminate farmed salmon as insight into the nature of industrial farming: fish crowding, disease, parasites, loss of muscles, loss of biodiversity, along with loss of other adaptations. Gourmets are faced with a dilemma: the historical-quality-best is not the clear ecological best. The emergent bests may be seriously flawed from an evolutionary aesthetics perspective, where best of the best is determined. The best have become the worst. What to do? Maybe this would be a useful action: Fall on your sword. (While I mean this metaphorically, of course, a literal interpretation by the many could actually solve our seafood problem.) Remember Einstein's dictum: Make everything as simple as possible but no simpler. Preserving and restoring the systems necessary to the quality of life we all aspire to is not going to be easy. No well-meaning raters can make vibrant global ecosystems an easily attainable goal. And as always, noblesse oblige. Stewards are the new global nobility, obligated to lead by doing the right thing. Each of us hoping to become stewardly can act accordingly. A conservative, cautious guideline for consumers trying to make ecologically sound choices would be to avoid all imported wild shrimp and prawns, avoid all farm-raised imported shrimp and prawns, and stick with wild-caught Oregon and Northern shrimp and maybe some U.S. farmed shrimp,which are rated sustainable in most seafood guides but which probably depend on non-renewable energy sources. Squid for the time being is considered sustainable though there is some uncertainty with this evaluation. Of course, if everyone were to follow this guideline there would be massively unwieldy pressure put on squid wild-caught Oregon fisheries. fisheries. What consumers might do, however, is not simply avoid red-listed fish. Consumers can pro-actively exert pressure at the point of purchase: the fish markets or fish departments of their supermarkets. This militancy promotes a shared stewardship at the line where producers meet consumers. Consumers can contact the raters regarding confusing reporting. Only buy fish linked to information regarding sustainability. Genetically modified fish such as Australian farmed prawns should all be avoided using the precautionary rationale. Over fished fisheries should be avoided. Fisheries using methods that damage habitats (e.g., bottom trawling) and reduce the life quality of resident species should be avoided. Fish from farms that rely on non-renewable energy sources should be avoided. Ask your marketer which is which. Keep asking. Ask again to speak to the manager. All sellers could be required by law to post current ratings for seafood. One possibility to simplify and avoid confusion would be to post any red rating by any of the 200 or more seafood raters for a specific fish with a brief explanation e.g., rater and reason for red-list). If no red listing is made by any rater then consider the fish a possible menu choice. This requires effort on the parts both of the market and the consumer. Sellers need to be informed of the rating status of their fish. Americans consume more than 20 million barrels of oil per day, 65% of which are imported. "Species are the most recognized and protected units of biodiversity. Yet, we tend to ignore the importance of genetic diversity that is fundamental to species survival, and to the continued evolution of new species. Almost certainly, unique genes have been lost from very many species that have experienced substantial declines with isolated populations and local extirpations. However, for most species of plants and animals, there have been few or no studies to document this trend. Small, declining or isolated populations will suffer from two related genetic problems: inbreeding depression and loss of genetic variation. The former has implications for short-term survival. The latter may limit long-term persistence. " Net, humans need to cherish seafood in the wild if they are to support global pleasure: top quality life-style for fish (wild life) and top quality food for consumers. In the case of Reward in the Cognitive Niche (RCN), sustainability is defined as vibrant, beautiful ecosystems (terrestrial,aerial, freshwater and marine) that will--now and in the future-- be restored, preserved and enhanced for the pleasure of all species. The distinctions among land air and sea are absent in this definition. Quality of life for all individuals of all species is emphasized. RCN uses biodiversity as the proxy indicator for quality of life of all species. There are currently between 1.5 and 1.8 named species in the world. Estimates for total number of species including unnamed species range from 3 to 100 million. Each natural (not genetically engineered) individual of each species varies in his or her genome. If diversity decreases, so does quality of life. Humans need to address the causes of loss of diversity if they wish to support the highest possible quality of life.The best of the best over evolutionary time becomes the most beautiful. Beauty is a salient value for this blog. global pleasure: optimized value achieved by summing up the pleasures of all creatures programmed to survive and reproduce. The indicator proxy for global pleasure is biodiversity. 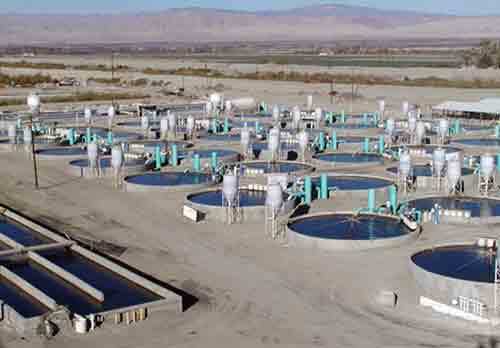 Recirculating Aquaculture Systems in Use/Recirculating Systems at Kent SeaTech, California, one of the largest recirculating systems in the world.